Arlington Texas Lawn Care – Arlington Texas is a great place to live and raise a family. Arlington is home to the original Six Flags Amusement Park. It is also home to Hurricane Harbor a large water park, the Dallas Cowboys ATT Stadium, and the Texas Rangers ballpark. Arlington is the fiftieth most populous city in the United States, the seventh-most populous city in the state of Texas. With the relocation of the U.S. Bowling Congress, and the Bowling Proprietors Association of America and the International Bowling Museum and Hall of Fame, Arlington became the world headquarters for bowling. Arlington Texas is home of a General Motors assembly plant and several aerospace companies. Green Top Lawn Care is known for our high customer satisfaction. Check out some of our Lawn Care Reviews; you will see that our customers are delighted not only with the job we do but also our customer service. We are locally owned and operated. We live in the area, and we treat your lawn like we would our lawn. If there is an issue, you can call and know that you are talking to a local person in Texas, not an answering service in another state. Our Fertilization and Weed Control Program consists of 8 regularly scheduled services that are needed in Arlington Texas. These include fertilization, pre-emergent, and post-emergent weed control. We also offer special services such as grub preventative, fire ant control, lawn aeration, soil testing, and pH balancing. Grub preventative is done May-July depending on weather and is highly recommended in Arlington. Green Top’s Tree and Shrub Program in Arlington Texas consists of 6 applications of fertilization, insect control, disease control and monitoring for any other issues. Round one we apply a horticultural oil in the winter that smoother insect eggs and overwintering insects such as scale. The next 5 services consist of fertilization, insect control, and disease control. We also offer specialized Tree and Shrub services such as Deep Root Fertilization. Don’t forget to visit our Lawn Services Arlington TX page too! 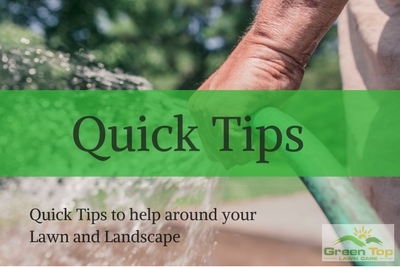 Don’t forget to visit our Viridian Lawn services Arlington TX page too! Call Green Top Lawn Care at 817-684-4044 or use our Quick and Easy Form for a free, no-obligation evaluation and estimate or to learn how to become one of our many Arlington Lawn Care clients!